Do you want to learn more about the trends for bareboat yacht charter prices in Europe since 2009? Are you curious how much boat charter prices depend on the age of the rented yacht? These and more questions related to boat charters in the Mediterranean are answered in this article. The presented values are calculated from 200.000+ charter orders done via YachtSys for major charter destinations during the last 7 years. 1. How much and where to pay for a yacht charter week? We averaged all charter week prices of sail boats in whole Europe by country and plotted them on the map below. The graphic clearly shows that the highest average week prices for boat rentals are paid in the Western Mediterranean. For sailing in the Balearics, the customers are prepared to pay the highest charter prices. Also the Italian and French Coast are relatively prices compared to the rest of Europe. The cheapest charter destinations south of the Alps are Croatia, Greece and Turkey. The North European Countries like Germany and Netherlands offer generally lower charter week prices. But it should not be forgotten, that the rented boats in North European Waters tend to be smaller and mostly older. This segment lowered the average week prices. The rental prices in the Swedish archipelagos near Gothenburg and Stockholm are around 30% higher than in the German Baltic Sea. This can be explained by the short season in Scandinavia. It seems obvious that boat owners have to charge higher week prices to reach the same revenue than in the southern charter destinations. It should not be deducted from this graphic that the charter business in the Western Mediterranean is more profitable due to higher revenues. The costs for marina berths and maintenance services are the highest in Europe, which explains the higher prices for boat rentals. 2. Are week prices for bareboat charters rising? This is an often-heard question when boat owners and charter companies discuss about amortization of boat charter: Which charter price increase can be the base for setting up a business plan? The following bar chart displays the averaged charter prices for sailing yachts in Europe since 2008. During the last 7 years, the average charter week price raised from 2229 EUR to 2557 EUR. This is an increase of 15%. Therefore an average charter price raise of 2% per year can be deducted. The biggest jump from 2300 to more than 2400 EUR within one year happened from 2010 to 2011. We believe that in 2011, the hardest impact of the financial crisis was over and charter providers were confident to increase the prices again. 3. What is the charter week price difference between a small and a big sailing yacht? Small two cabin sailboats can be rented for an average week price of 1,455 EUR. The three cabin boats were divided in a smaller 9 - 12 m division (1,828 EUR per week) and a bigger 12 - 15 m division (2,274 EUR per week). A charter with of the bigger three cabin division, is around 25% more expensive, This bigger 3 cabin division is also called "Owner Version", because those yachts have a spacious and comfortable owner cabin in the front (mostly with ensuite bathroom) instead of two separate front cabins. 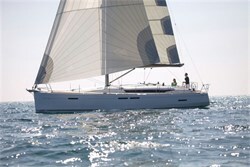 A four-cabin charter sailboat in the division 12 - 15 m ranges around 2,778 EUR. So far so good. But what is this? The four-cabin version (15 - 20 m) with an average charter price of 4,274 EUR is even 12% more expensive than the five-cabin (3,802 EUR) version in the same length division? Yes, that is confirmed! The evaluated prices are taken from real charter orders, so we are sure that they are correct and statistically significant. So sailboat boat owners in the 15 - 20 m division get a higher weekly charter price for a four cabin than a five-cabin version. The reason for this can only be explained that the demand for four cabin version boats is higher than the offer, which results in a higher charter week price. 4. Which week price reduction you should ​expect while your charter boat gets older? Charter clients tend to look for newer yachts when searching a charter boat. Because of the higher demand, the achievable charter price is higher for new yachts than older ones. The diagram below plots the average charter week prices for three age-segments that we named Premium (max 3 years old), Budget (4 - 10 years) and Classic (> 10 years). The Budget group which definitely builds up the biggest amount of all charter fleets have a price reduction of 13% compared to the Premium group of the boats that were built during the last 3 years. For charter boats older than 10 years, the average charter price is still 69% of the new yachts. This graphic should not be interpreted in a way that it is possible to make still 87% revenue with a 4-10 year old charter yacht compared to a new yacht. You have to consider that older yachts tend to have lower occupancy than new boats in the fleet. While new rental yachts in the Mediterranean Sea can receive 20+ charter weeks per season, older boats tend to have less than 20 weeks booked. Nevertheless old boats that are well maintained can have loyal repeater clients which book the same boat during consecutive years. Opposite to a rental car, clients often establish a personal relation to a yacht they spent memorable moments with. 5. How much is the yacht charter price depending on the order date? In the previous graphic we plotted the average charter week price differences in relation to the average yearly charter week price segmented by the months of the year. The relatively highest charter prices are paid for charters that are contracted in May (+8,8%). The lowest charter week prices have to be paid for reservations done in September and December (around -7%). Generally during winter months, charter clients can expect to close the best deals for a boat charter vacation in summer. Responsible for this observation is definitely the expiration of early-booking-deals in January until March. It also has to be considered that last-minute offers that start from June until August often have a high discount but the booking volume is comparatively low. 6. 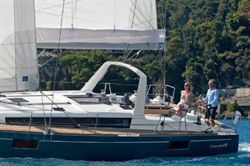 How much differ the season prices of bareboat sailing yachts? The above graph (Chapter 5.) displays the relation of the average charter week price dependent on the moment of booking. In the graph below we show the average charter week price in relation to the charter period. The result is that there can be 3 months (April, May and October) identified that have week prices 15% to 20% below the yearly average week price. Those are the low season months. June, July, August and September are the high season months with average charter week prices 5% to 22% above the medium level. The sharpest drop of 18% occurs from most expensive month August to September. 7. Which destinations offer the highest price reduction? In which charter destinations are the highest discounts, offered by charter companies? Bareboat charter customers can expect to get the most discounts on charters in Greece (13,1%). Also for boat rental reservations Turkey average discounts of 11% are offered. In Croatia and Italy the average reduction on the rental price is still 10%, while in the Western Mediterranean the discounts are significantly lower with an average of 8,3%. 8. Which charter months have the highest discount? As there are trends in the amount of discount related to the geographical location (Chapter 7) there are trends dependent on the charter month. As it can be seen below, the two months with the highest average discount of 10,6% are April and May. The average discount lowers as closer the charter date is coming to mid-summer. Interesting is that the month with the lowest average discount is not August (9,9%) but September with 9,7%. But even more remarkable is that the average discount given only differs 0,9% between low and high season months! I bet most of the readers would have expected the difference in discounts much more significant. 1 In 2015 a bareboat charter week in Europe was sold for an average of 2,600 €. 2 Week prices are highest in the Western Mediterranean (3,100 €). 3 Since 2008 charter prices rose nearly 2% p.a. – summed up to 15% until 2015. 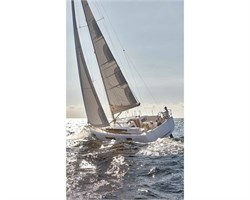 4 Two cabin sailboat rentals are around 30% of the rate 4 –5 cabin sailboat charters. 5 Older yachts (4-10 years) still achieve charter prices of 87% from new boats. 6 Bookings done in autumn and winter are generally 10% cheaper than in spring. 7 Charter price differences between high and low season reach 40%. 8 Highest discounts are generally offered for the South-Eastern Mediterranean. 9 Variation of average discounts given throughout the season months is quite small (< 1%).